The Kerr store, with its arched openings and heavy stone trim, is strongly Richardsonian in its design, yet has several highly experimental features. Modulated granite elements and several forms of special brick (including five in the arches alone) are employed for artistic effect. The design features an exposed steel beam above the first floor, a detail Gilbert would later employ on the Blood Warehouse (1893-1895), the Gotzian Office Building (1895), and the Golden Rule Department Store (1896). 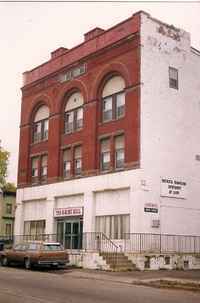 The punched-pattern parapet wall is similar to Gilbert & Taylor's unbuilt design for the Merchant's National Bank (1889) in Helena, Montana. The engaged columns of rounded brick are related to those on the Galusha Rowhouse (1887). The top-floor windows are like those used on Bryant Hall (1886). Gilbert & Taylor also designed a house for Kerr in Saint Cloud, but it was not built. Colonel Kerr was an attorney who had served in the Civil War with the Sixth Illinois Regiment. Governor William R. Merriam appointed him in 1889 to serve as a judge in the Second Judicial District. Kerr died in 1896. 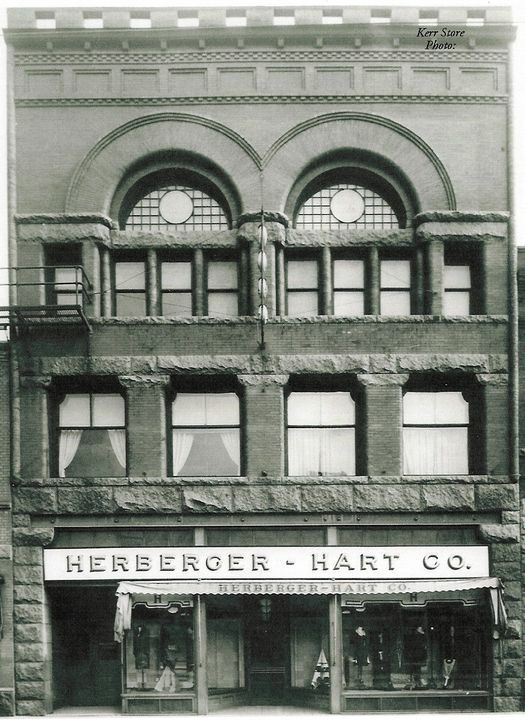 For many years, the original facade of the Kerr Store was hidden behind a nondescript modern front that was intended to blend the building into the adjacent Herberger's Department Store. Several years ago, the current owners undertook a campaign to restore the original facade.